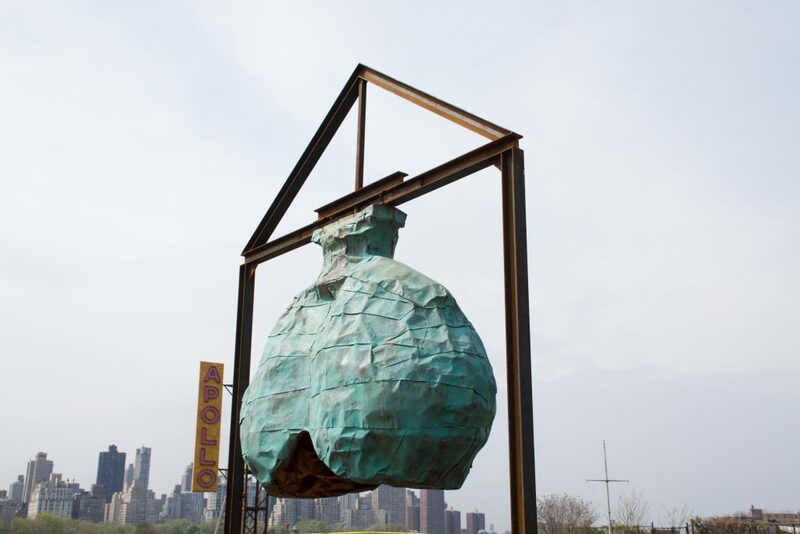 Socrates Sculpture Park is pleased to present New York’s first institutional solo exhibition of Nari Ward (b. Jamaica; lives in New York). 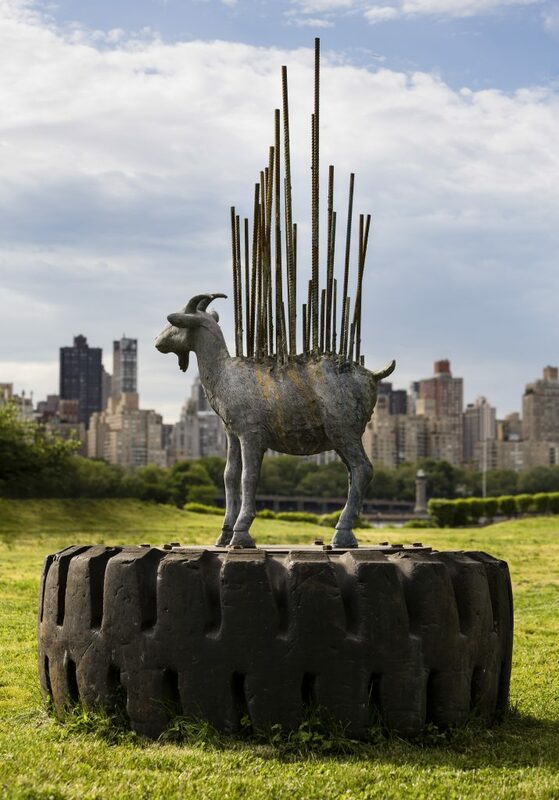 The exhibition, Nari Ward: G.O.A.T., again, features a series of six newly commissioned outdoor artworks that were created on site and on view April 29 – September 4, 2017. 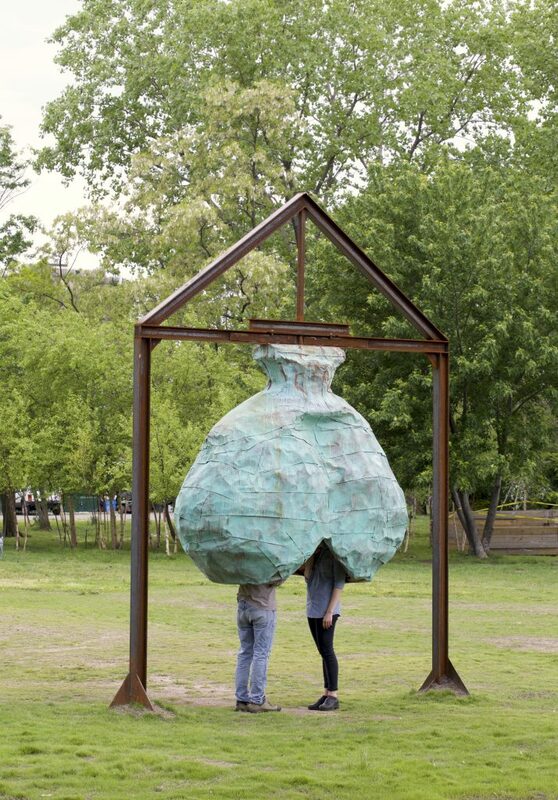 Ward recasts tropes of outdoor structures – the monument, the playground, lawn ornaments, architectural barriers, and the advertising sign – into surreal and playful creations. 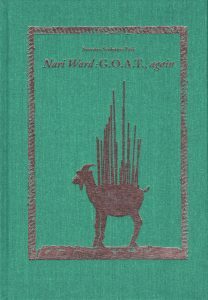 Nari Ward: G.O.A.T., again examines how hubris creates misplaced expectations in American cultural politics. This exhibition also brings new insight into the artist’s exploration of identity, social progress, the urban environment, and group belonging. 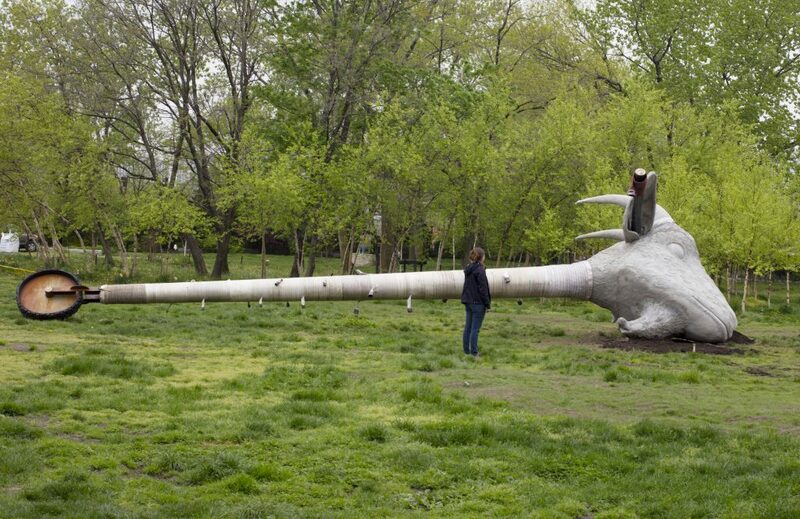 Nari Ward: G.O.A.T., again spans Socrates Sculpture Park’s five-acre landscape as the Park’s first presentation of a single artist in its 30-year history. 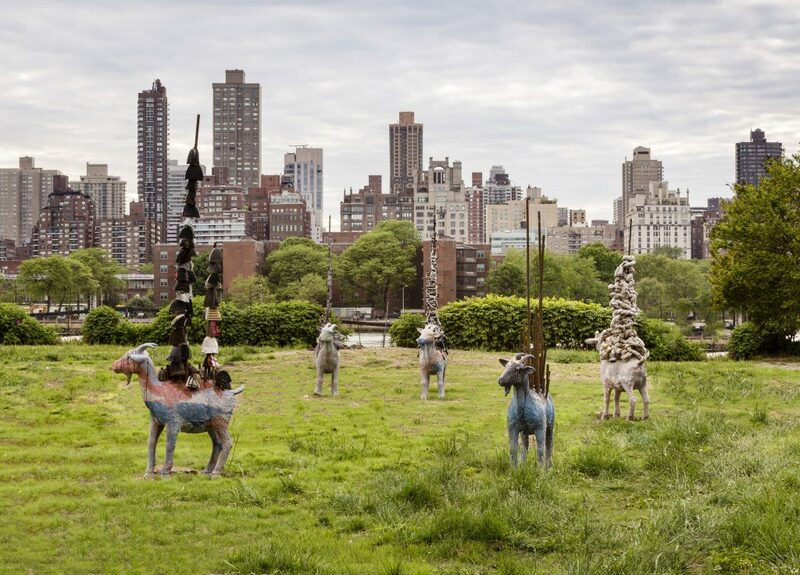 Ward, who transforms discarded or familiar materials into formal innovations that address society’s most urgent questions, underscores the Park’s mission of integrating contemporary art into daily life and as a space for cultural exchange and transformation. For each work – six in total – individual perspective, proximity and movement affect how it is interpreted. *Take an AUDIO TOUR by downloading the free app Otocast for iPhone or Android. This book accompanies Nari Ward: G.O.A.T., again and features essays by Jess Wilcox, Socrates Director of Exhibitions, and LeRonn Brooks, Assistant Professor of Africana Studies at Lehman College, alongside an interview with the artist. Featured essays consider this exhibition in relationship to the current political landscape, investigate Ward’s prolific yet under-examined body of outdoor works, and approach Ward’s practice through the lens of the history of contemporary art and culture production of the African diaspora. An interview with Ward focuses on his relationship to select signature materials – tar, copper, fire hose, tire tread, concrete, and light – featured in G.O.A.T., again. 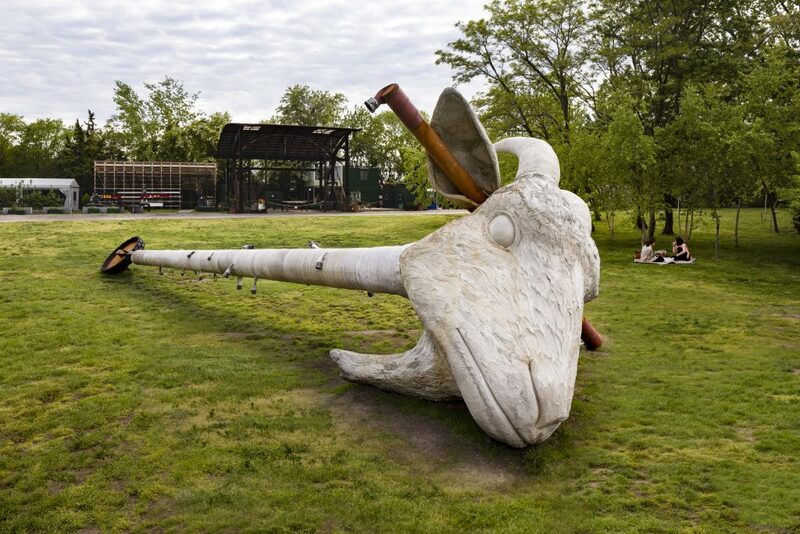 Nari Ward: G.O.A.T., again is organized by Socrates Sculpture Park and curated by Jess Wilcox, Director of Exhibitions. The exhibition is made possible with generous support from the Lambent Foundation, Henry Luce Foundation, and the Shelley & Donald Rubin Foundation; with additional support provided by Lehmann Maupin, New York and Hong Kong; Galleria Continua, San Gimignano / Beijing / Les Moulins / Habana; Roberta and Steven Denning; and Spacetime, C.C. The accompanying catalogue is supported by Furthermore: a program of the J. M. Kaplan Fund. 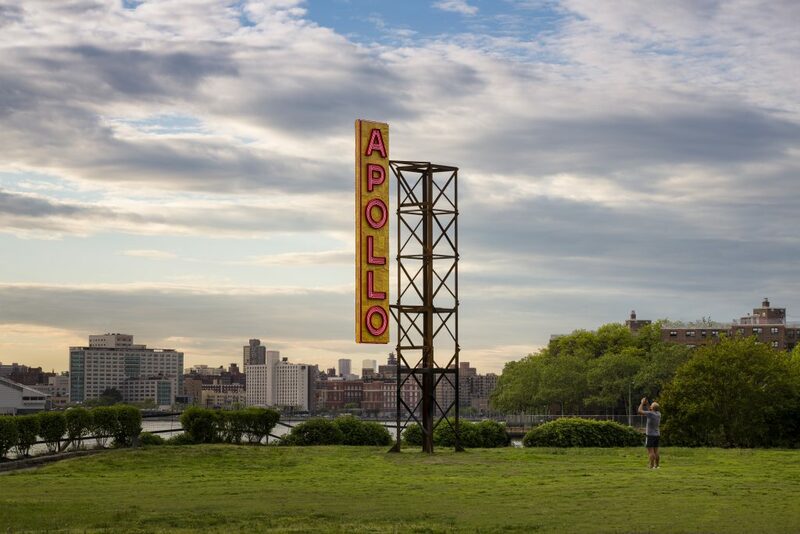 The exhibition is also supported, in part, by public funds from the NYC Department of Cultural Affairs in partnership with the City Council, and the New York State Council on the Arts with the support of Governor Andrew M. Cuomo and the New York State Legislature. 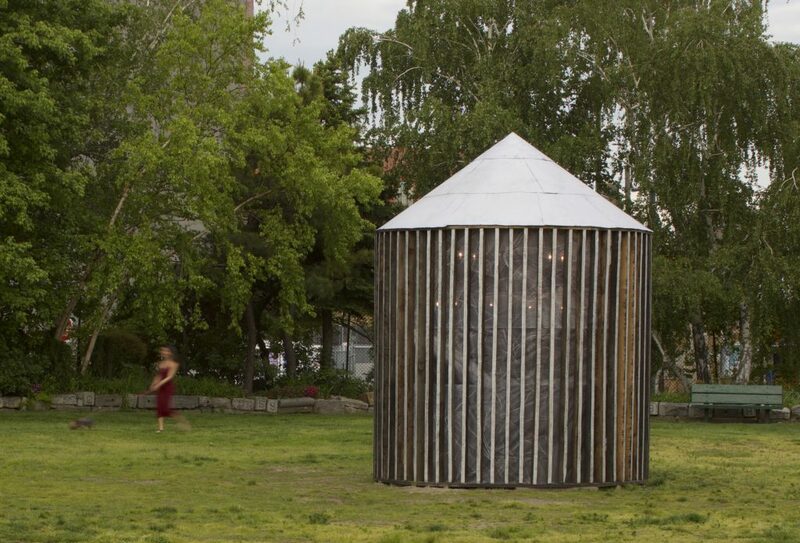 On April 26, the Institute of Contemporary Art/Boston opened Nari Ward: Sun Splashed, the most significant exhibition of the artist’s work to date. 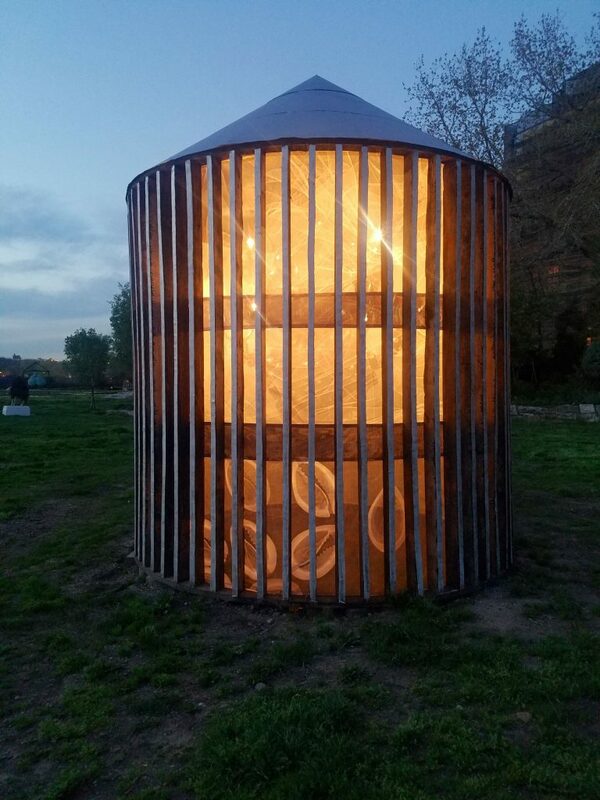 Sun Splashed includes artworks made from soda pop bottles, shoelaces, shopping carts, and a fire escape—materials that speak to the artist’s distinctive experimentation and resonate with social, political, and cultural meaning. 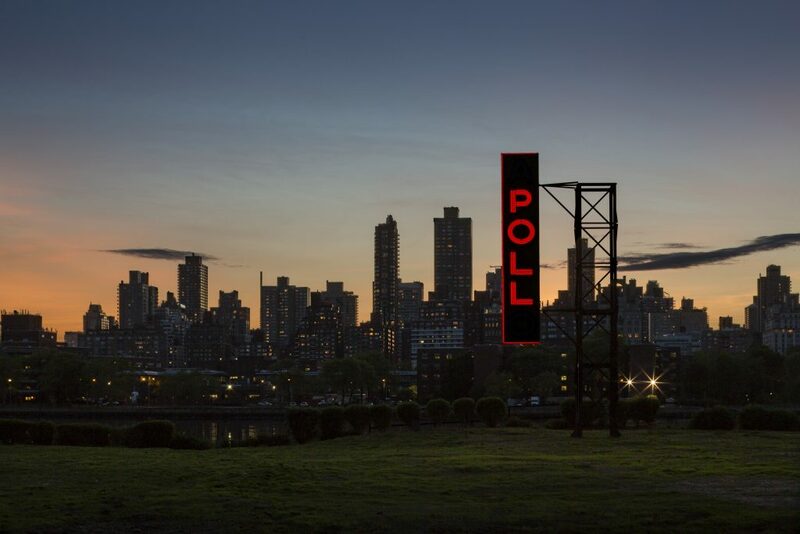 The exhibition focuses on vital points of reference for Ward including his native Jamaica, citizenship and migration, and African-American history and culture, to explore the dynamics of power and politics in society. Sun Splashed is organized by Pérez Art Museum Miami Associate Curator Diana Nawi. The Boston presentation, on view through September 4, is coordinated by Ruth Erickson, ICA Associate Curator, with Jessica Hong, Curatorial Associate. 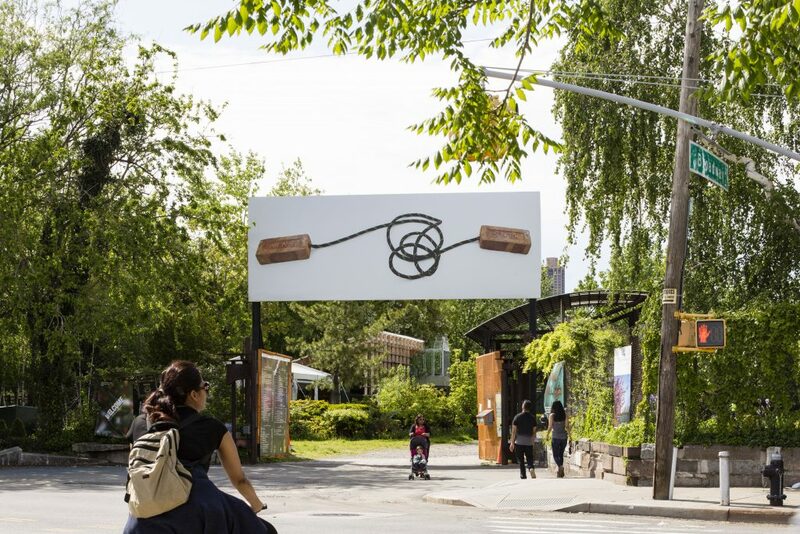 Images: Nari Ward, 2017, Courtesy the artist; Socrates Sculpture Park; Lehmann Maupin, New York and Hong Kong; and Galleria Continua, San Gimignano / Beijing / Les Moulins / Habana.